When it comes to building cost-effective fixed gear bikes that easily outshine other bike manufacturers, no one does it better than Critical Cycles bike. Their dedication is clearly shown on the bikes. The Pursuit with its bullhorn look is simplicity at its best. Catering to the needs of the fixed gear enthusiasts, the bike does an excellent job of standing out with its simple design. This bike is very popular among riders and has consistently outperformed other bikes in the same price range. Let us now go into the details of why this bike is so amazing. 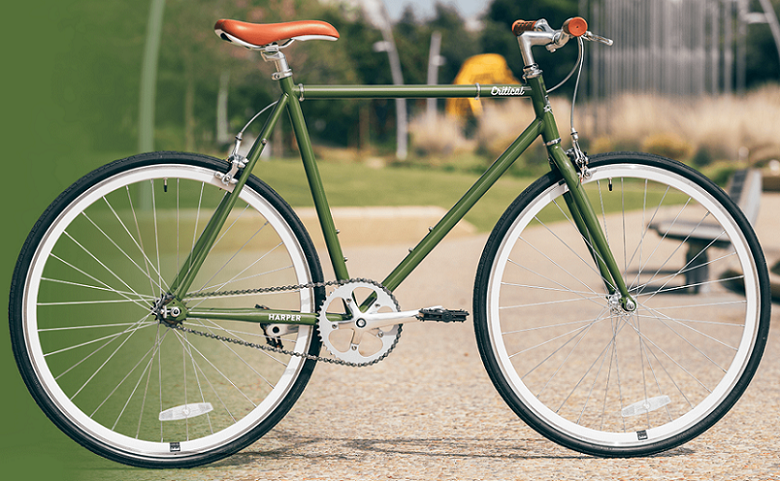 The Pursuit classic has a high-quality steel frame which is hand built with a track inspired design. The most surprising thing about the frame is its weight. Even though it is made of steel it is still pretty easy to handle. The 25.44 mm bullhorn handlebar is the main attraction of the Pursuit Classic. The handlebar allows the rider to experience a more aggressive riding style and also switch to a more relaxed posture. It comes equipped with soft Kraton rubber grips for the ultimate grip and comfort. The wheel hub plays an important role in alternating between a single speed bike and fixed gear bike. This is a great feature that has been included in the bike considering its price. The Pursuit has a 3 PC crank coupled with a durable KMC chain. It is very easy to pedal the bike while climbing a moderate step road. The pursuit comes with Promax brakes that allow the rider to brake accurately in tight situations to improve ride quality and safety. You get to have good control of your bike. The double V bike rims are highly optimized for city riding which helps the rider to handle minor inconsistencies on the roads easily and ride with ease and comfort. The Wanda tires are known for their durability which is one of the most important factors for a biker. The bike comes with a toolkit which allows the user to perform minor maintenance work on the bike to improve the functioning and durability. The tools also can be used in case of a breakdown and the bike needs some emergency repairs. The Pursuit Classic has that vintage look with simple design and frame that has been made to mimic a custom-made fixie look. The bike surely does a great job in blending with the fixie biker cult. 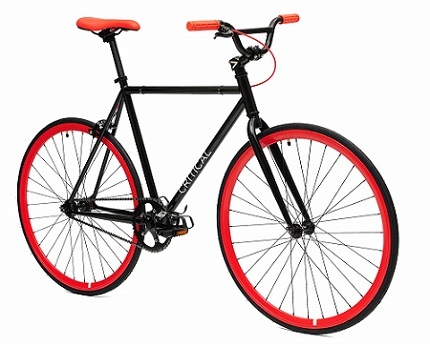 If you are looking for an affordable fixed gear bike with an excellent riding performance, then the Pursuit is definitely the bike for you. The bike offers high-quality workmanship that will have your back on your biking adventures. There aren’t many other bikes that match the performance of the Pursuit when it comes to the realm of fixed gear riding. So you will definitely not be disappointed by deciding to purchase the Pursuit Classic.